The heir hunting industry has a somewhat checkered reputation. Some heir locators will resort to unethical behavior in order to profit off estates with unknown beneficiaries. Some fabricate familial relationships in order to claim a percentage of the purported heir’s inheritance. Others will coerce legitimate heirs into signing contracts with the heir hunting service, convincing the heir that they will be unable to collect their portion of an estate otherwise—and requiring them to share a substantial percentage of their inheritance with the heir hunters as compensation. One of our clients, an estate administrator, encountered both of these tactics from the same heir location service. Fortunately, the professional genealogists and investigators at Von Langen LLC were able to provide a well-researched genealogical history of the decedent’s legitimate heirs before any money was wrongly distributed. The decedent in this case, Fred Marty, was born in 1896 in Wisconsin, the child of Swiss immigrants John and Elizabeth. Fred was one of eight children born to his father, five of whom were the result of his father’s first marriage to a woman named Mary, and three (including Fred) the result of the marriage of John and Elizabeth. Fred died in 1988 having outlived his parents, his full siblings, and his half siblings. Fred’s full brother died in infancy, and his sister died without having children. However, Fred’s half siblings were extremely prolific. 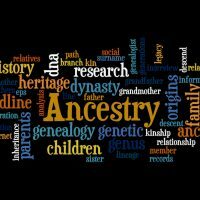 As you might imagine, tracing the lineage of such a large family involving full- and half-blood relatives requires extensive experience in genealogical research. Our exhaustive research uncovered hundreds of descendants of John and Mary Marty, with vast numbers of Fred’s half-grand- and half-great-grand- nieces and nephews scattered across the country. Adding even more complication was the time between Fred’s death and our involvement in the case—almost ten years had elapsed before we became involved. During that time, numerous heirs of similar age to Fred passed away. In all, we were able to identify and provide contact information for twelve heirs to Fred’s estate. The forensic genealogical team at Von Langen LLC is all too familiar with the predatory tactics of heir hunters. We’re often called in to provide trustworthy, evidence-backed genealogical services to find an estate’s true heirs after heir hunters harass family members or produce only disproved claimants. Estate administrators may be able to bypass this maddening and time-wasting process by beginning the heir search with Von Langen LLC’s skilled forensic genealogists on the estate administration team. If you’re in need of seasoned, experienced, and diligent assistance locating rightful legal heirs to an estate, contact the Florida forensic genealogists at Von Langen LLC for a consultation at 800-525-7722.